Co-op members of the East and West Broward Solar Co-ops today issued requests for proposals from area solar installers. The group members created the co-ops to save money and make going solar easier, while building a network of solar supporters. Broward County, Go Solar Florida and FL SUN are the co-op sponsors. 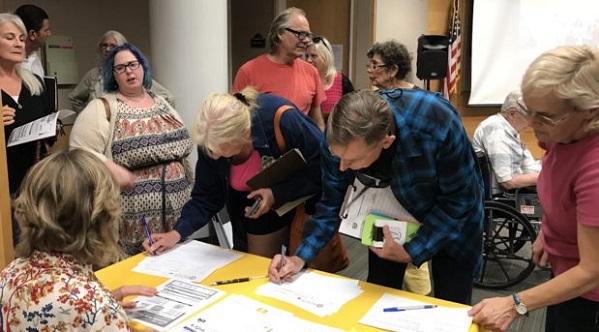 The groups also announced they will host information meetings on March 6, 7 p.m. at Art Serve in Fort Lauderdale, and March 7, 7 p.m. at the Broward County Government Center West in Plantation to educate the community about solar and the co-op process. Local installers interested in serving the group can download the East Broward group’s RFP, the West Broward group’s RFP, and response templates for both RFPs here. Broward County residents in the eastern half of the county, east of US 441, interested in joining the co-op can sign up at www.flsun.org/east-broward. Residents who live west of US 441 can sign up at: www.flsun.org/west-broward. Joining the co-op is not a commitment to purchase panels. Co-op members will select a single company to complete all of the installations. They will then have the option to purchase panels individually based on the installer’s group rate. By going solar as a group and choosing a single installer, participants can save up to 20% off the cost of their system.